Appointments can be made by phoning the practice during opening hours. 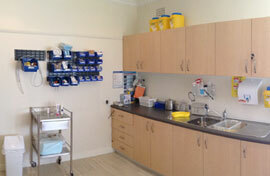 We allocate a number of appointments on the day to accommodate for unplanned or urgent visits phone 4257 2111. Longer appointments are available if you have several health concerns you wish to discuss or you have complex care needs. Please notify reception staff if you require a longer consultation. Please notify our reception staff if you have an URGENT health problem. You may be put through to our Registered Nurses to be assessed and triaged. 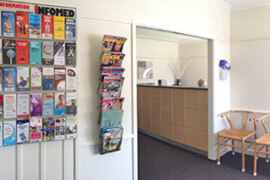 NEW PATIENTS: We will always try to accommodate new patients on the same day. 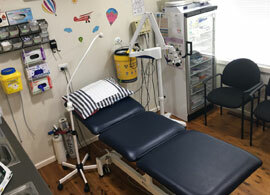 At Tongarra Family Practice we have 2 fully equipped treatment/procedural rooms and 5 Doctor consultation rooms with the most up-to-date equipment for all your medical needs. If you require medical attention outside of normal opening hours, contact the Wollongong Radio Doctor on 4228 5522 or attend Shellharbour Hospital Emergency Department. EMERGENCY CALL: 000. Tongarra Family Practice offers home visits within a 5 km radius, by appointment only at the discretion of the individual Doctor. Telephone access to GPs is permitted in urgent cases, otherwise a message is taken and they will return your call. Bulk Billing depends on the length and complexity of your appointment. If you require a special procedure, a small fee is charged for surgical packs used. You will be advised of this charge by your doctor prior to any procedure. Please bring your Medicare card, and your Health Care or Pension card if you have one, to each appointment. Your doctor will advise when your results will become available. Results will not be given out over the telephone or online due to privacy regulations. Please make an appointment to find out your results and what they mean for your care. 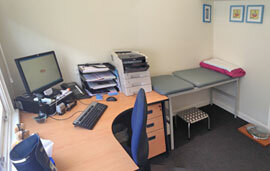 Tongarra Family Practice is committed to preventative care. Your GP or our Nurses will seek your permission to be included on our reminder system. We may issue you with a reminder notice from time to time offering you preventative health services appropriate to your care. If you do not wish to be part of this system please let one of the Tongarra Family Practice staff know. Tongarra Family Practice has a no smoking policy. Barb Gardiner joined Tongarra Family Practice in 2009 after a sea change to the local area from Sydney. She has over 20 years extensive experience in the medical practice industry both locally and in the Sydney area with qualifications in HR and staff management, her passion is specialising in the refurbishment and practice growth of Clinics and Medical Practices. She has extensive administrative skills and has managed large and small teams as a Practice Manager during this time. Dr Chalissery trained as a surgeon in the UK before moving to general practice. He obtained the MRCGP after completion of GP training in 2006. During his GP training he practiced 18 months of dermatology in practice and with the dermatology department of Princess of Wales Hospital Bridgend UK, with a special interest in dermatology and skin cancer surgery. He was the GP lead for dermatology in his practice in Wales UK from 2006-2013. He is a member of the Primary Care Dermatology Society UK (since 2006) and regularly attended their advanced dermatology seminars, undergoing accredited training for advancement in skin surgery and dermoscopy. Dr Chalissery has extensive experience in the assessment of skin lesions and the surgical treatment of skin cancer and will be conducting a skin surgery clinic monthly. 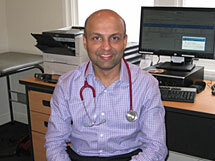 Dr Chalissery has a particular expertise in the medical treatment of men's health problems and family medicine. Manish graduated in 2003 and did his general practise training in the UK. A generalist at heart he has a special interest in mens health, skin, care of the elderly and mental health and cosmetic medicine . In his spare time he enjoys wreck diving , fusion cuisine all things French ,mainly car suspensions. 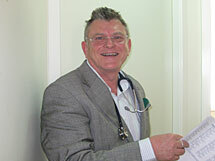 He is a fellowship examiner With the Royal Australian college of General Practice . 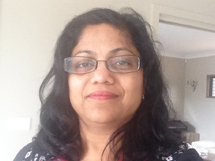 Joining us in July 2015 is Dr Priti Chalissery. Folling Dr Priti's medical graduation she trained primarily in general medicine and paediatrics before moving to the UK. Completing her post-graduate training in the UK she obtained the Membership of the Royal College of General Practitioners ( MRCGP ) working as a GP in a group practice for 8 years before moving to Australia with her husband and daughter. Dr Priti obtained her Diploma in Diabetes and trained in dermatology, while working in her busy practice. Dr Priti is a very experienced physician with special interests in women's health, contraception, including the use of both Implanon (the rod) and IUD's such as Mirena, including hormonal and clinical assessment and treatment of menopausal symptoms, diabetes, dermatology and geriatric medicine. Dr Priti will also be performing Pap smears and "well women checks" and offering shared care of pregnancy. We also encourage check-ups for those women planning pregnancy (Prenatal check ups). Fertility is an all too common problem Dr Priti can advise you about the available treatment alternatives. 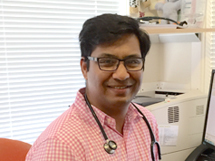 He received the award of Illawarra GP of the Year in 2009 and the Tongarra Family Practice has been recognised in the 2012 Practice of The Year Awards. Dr Condon has been a guest speaker with the Australian Collaboratives Program which is a national forum of Australian GP's aiming to improve the quality of general practice.